To be taken to all posts in the Victoria Blazer Sewalong, please click here. 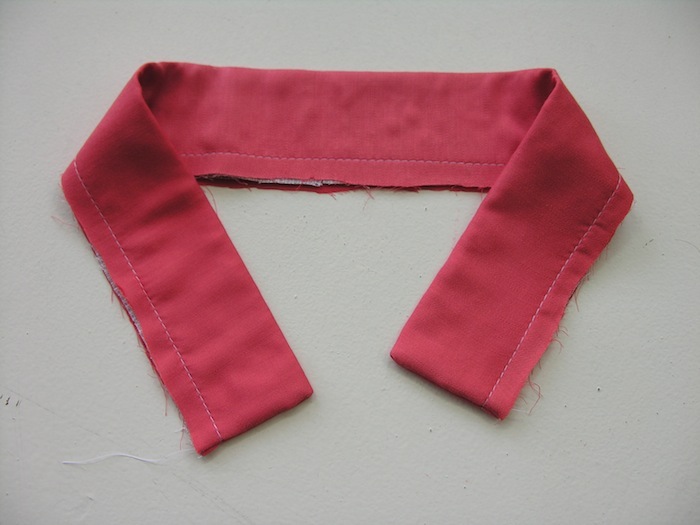 Starting with the collar piece - fold it in half lengthways, right side in, and with our usual 5/8" or 15mm seam allowance, stitch the two short ends at either side. 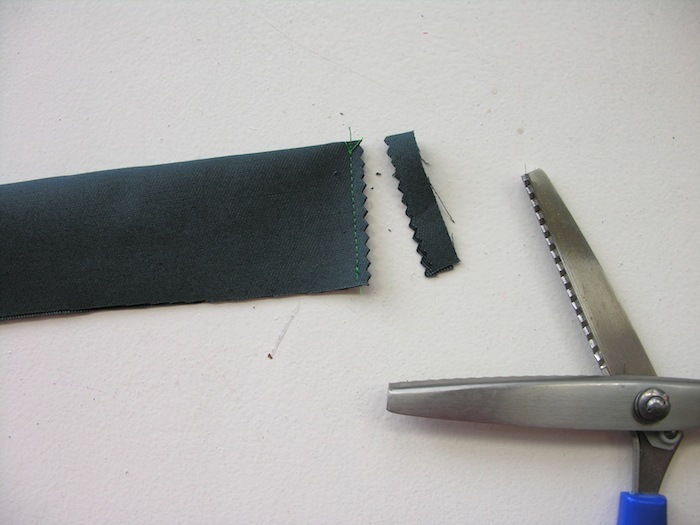 Use pinking shears to snip away the excess seam allowance. Now turn it out to the right side and give those end seams a good press. To get the corners super sharp, a good tip is to use the pointed end of a knitting needle to gently push them out from the inside. 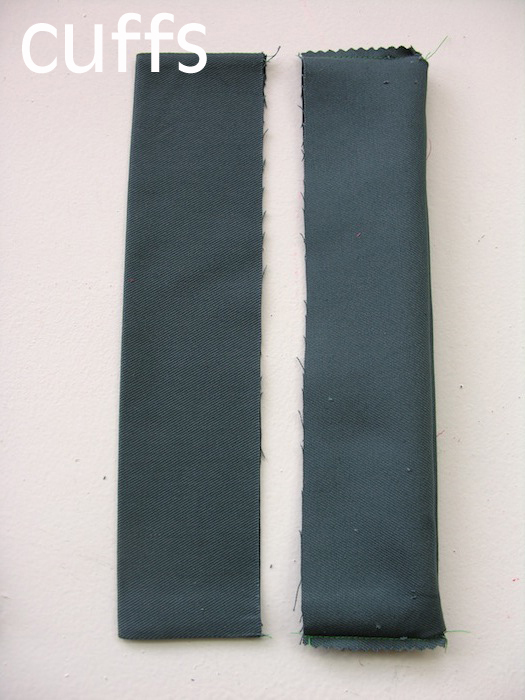 Repeat this process in exactly the same way for the lapels and both cuff pieces. And now let's tawk a little about gettin' those collars nice n stiff. We're really digging a contrasting collar (or lapels or cuffs) to match the blazer's lining, and by the looks of all the awesome Victoria's we've been spotting out in the wild, so do you. But how do you get a crispy collar (or lapel or cuff - we'll just refer to them as collars from now on, but this is applicable to all three!) 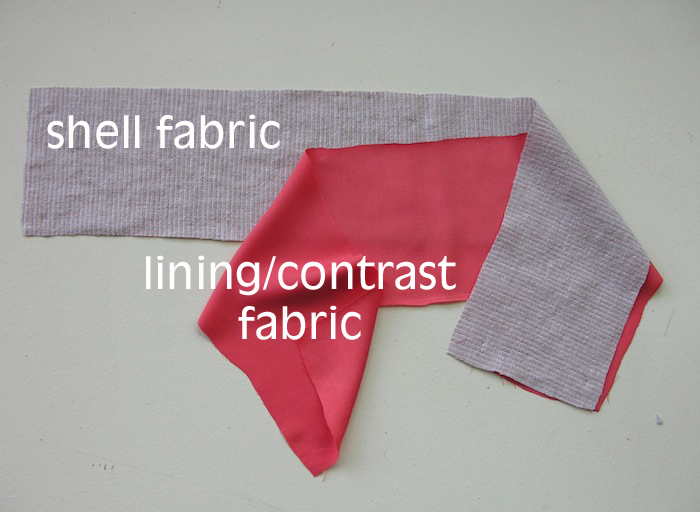 out of a lightweight lining fabric? 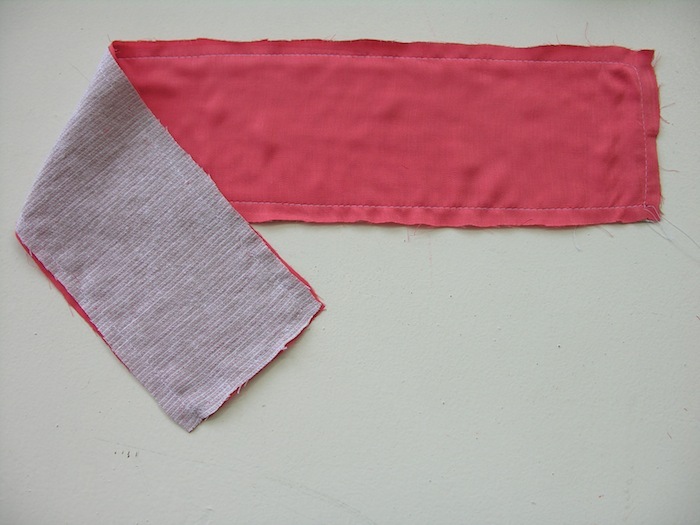 You could, of course, use fusible interfacing, but personally, we really try to avoid it as we have yet to find a really good one that doesn't result in crunchy collars. 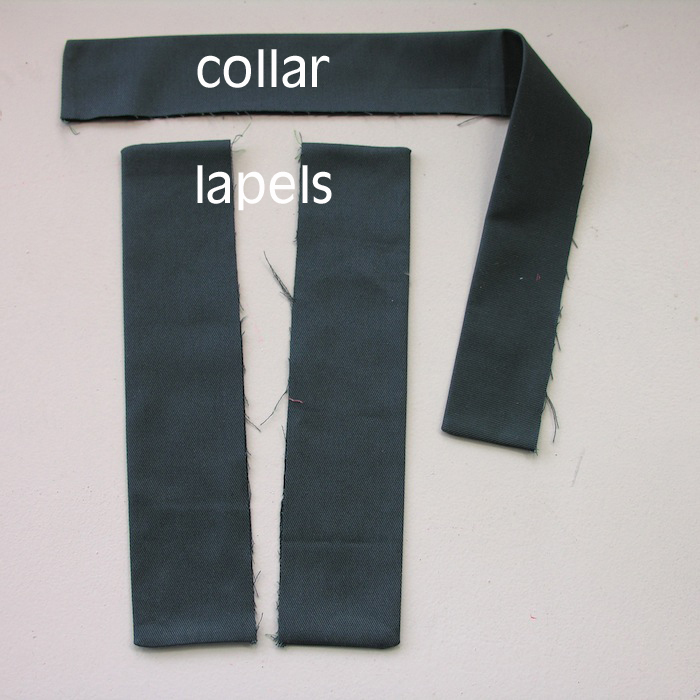 Then we fold the this new doubled up collar piece in half lengthways - right side in - and close those short ends, snip off the excess, turn to the right side and press, as outlined above. And there you have it guys, easy peasy lemon squeezy. Now put some ciders on ice and get back to enjoying your weekend!